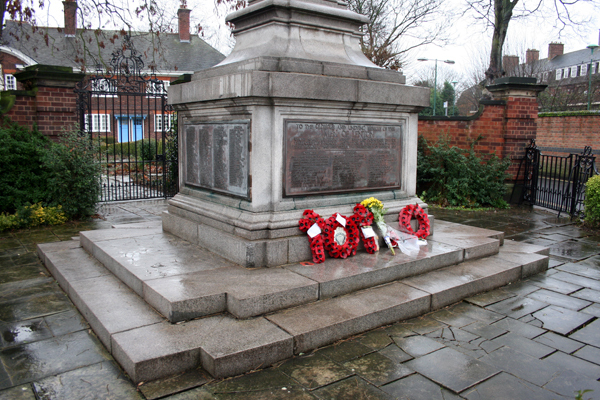 Almost immediately on turning into Church Street from Gregory Street you see this view of the Lenton War Memorial with the Captain Albert Ball V.C. Memorial Homes located immediately behind it. Off to the right is Sherwin Road. 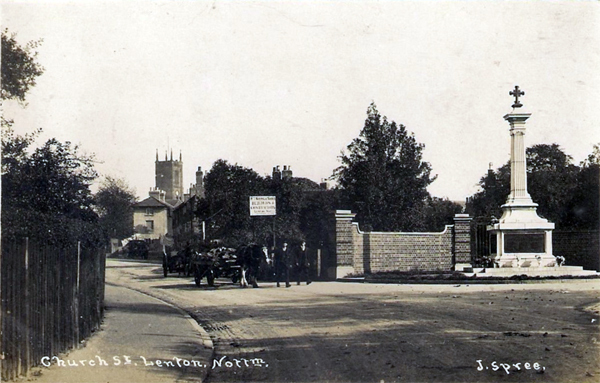 This is much the same shot taken from a 1920s picture postcard with the tower of Holy Trinity Church just visible on the extreme left. 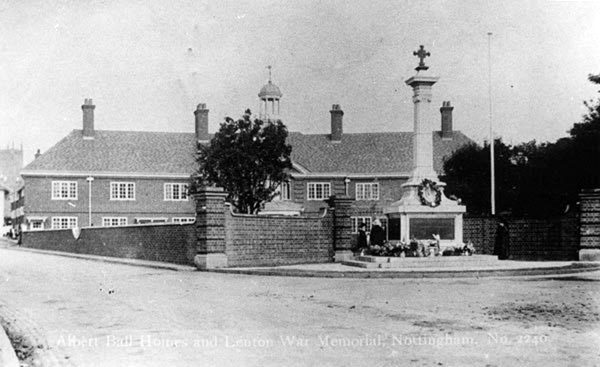 This photograph was taken by Jack Spree after the unveiling of Lenton's war memorial in May 1920 but before work had started on the memorial homes. Further along Church Street the set of properties known as Chain Row can just be seen. Jack Spree clearly returned to this spot once the memorial homes had been officially opened in September 1922. 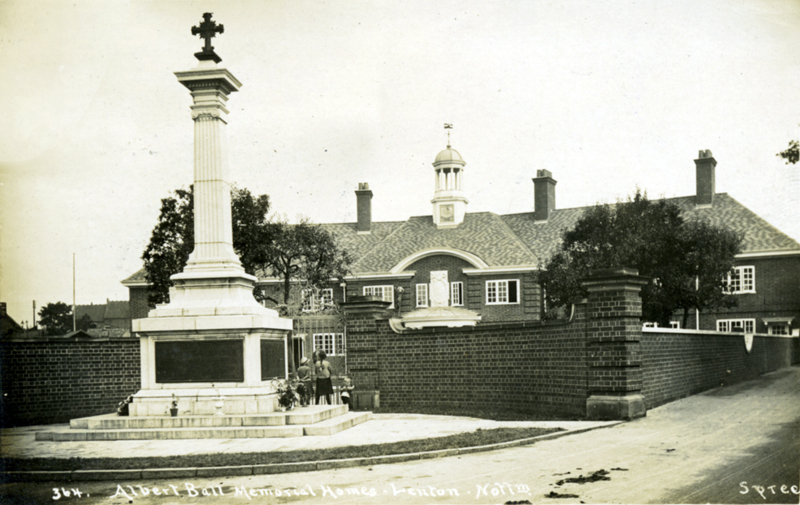 The War Memorial and the memorial homes were both designed by A.W. Brewill. 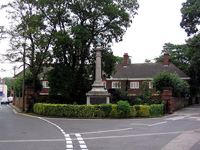 Made of limestone, the war memorial consists of a square fluted column about fifteen feet tall, which stands on a large plinth. On the top of the column is a bronze cross. 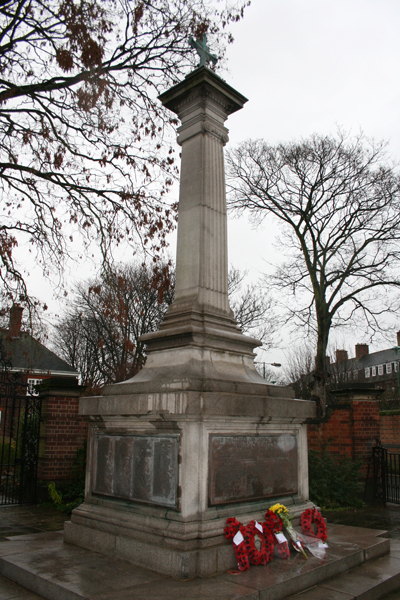 There is a brass plaque on each side of the plinth. Three of these plaques bear the names of 286 men and one woman who died in the war. The fourth carries an explanation of the various abbreviations used to identify the specific regiment etc. in which they served. 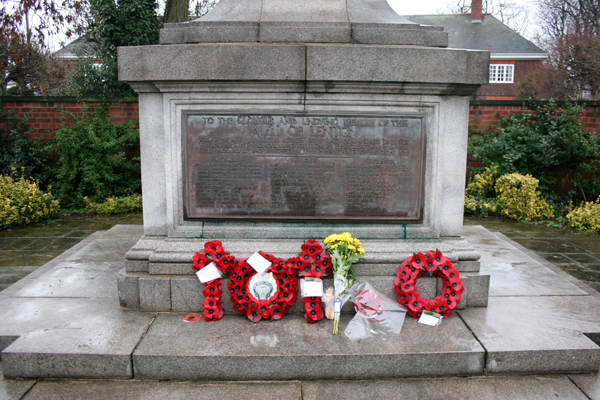 These three photographs were all taken in 2008 shortly after that year's Armistice Day Ceremony. Situated just beyond the memorial homes is Jasmine Cottage. 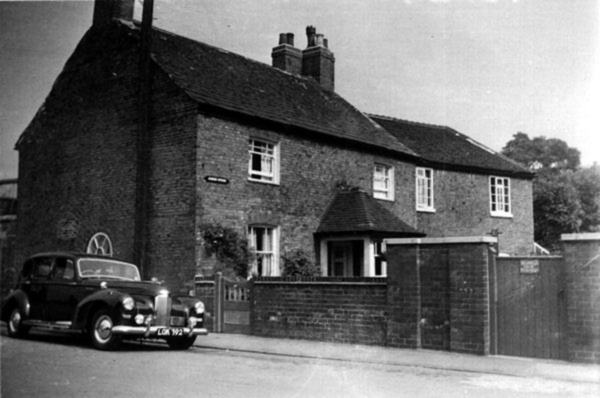 In the late 1950s when this photograph was taken Jasmine Cottage was the home of Mr & Mrs J.E. Isgar, who lived there from 1954 until 1990. Mr Isgar had a plumbing business and the car parked alongside the property is almost certainly his. 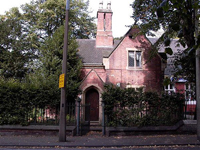 This is Jasmine Cottage as it looked in 2002. The little plaque seen on the gable wall used to tell people that the building once served as a place of worship in the early days of Methodism and was also the birth place of someone who later went on to become the Lord Mayor of London. Somebody 'walked' off with it soon after this photograph was taken and the plaque has never been replaced. 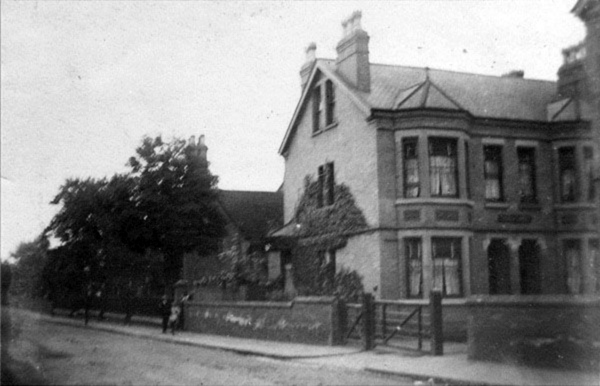 Birch House used to be found on Sherwin Road. This door formerly provided the occupants of Birch House with pedestrian access to Church Street. It now serves the same function for the residents of Mirberry Mews whose properties were built on the site of Birch House. 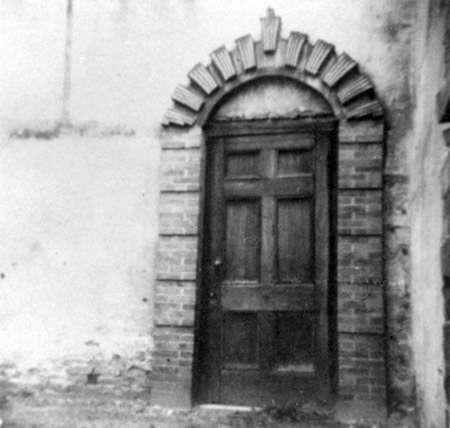 The door is situated next to Jasmine Cottage. Just beyond the door into Mirberry Mews is the garage belonging to Jasmine Cottage, built on part of the site of the Chain Row properties (mentioned earlier). These terrace properties consisted of three storeys but were only one room deep. Demolished in the late 1930s part of their rear wall survives as the boundary wall to the Mirberry Mews properties. 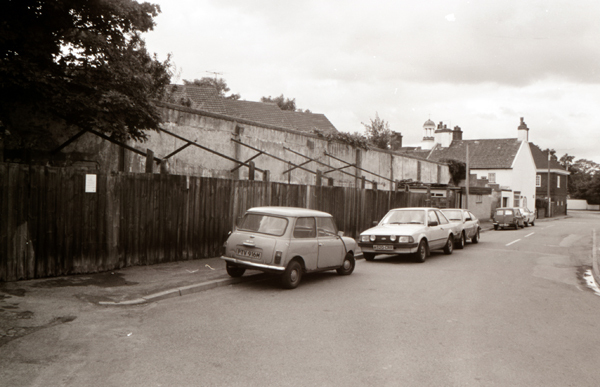 Taken in 1986 at the same time as the previous photograph the section of road shown here formed part of the original line of Gregory Street leading to the level crossing over the railway line. Since the construction of the road bridge over the railway the road's only role is to provide access to and from Midland Avenue. On several separate occasions the City Council received approaches from developers wanting to build on the remaining vacant portion of the 'Chain Row' site but the planners would not agree to their proposals. In the end they allowed the erection of a single bungalow property. This is the building under construction in this 1989 photograph. In this 2008 shot we have the old section of Church Street on the right while the 'new' section on the left heads over the railway bridge erected in the 1880s. 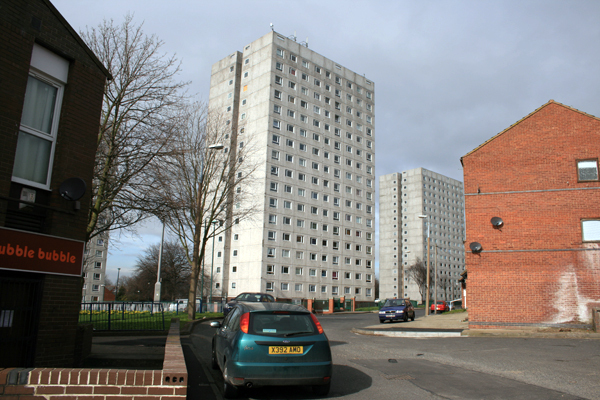 Also visible on the left is part of the Manor Park housing estate erected in the 1980s. This 1978 shot is looking back along Church Street from the railway bridge shows part of the industrial estate that occupied the site before the arrival of Manor Park. On the horizon is the QMC and the presence of cranes indicates that building work on the new hospital was still going on. 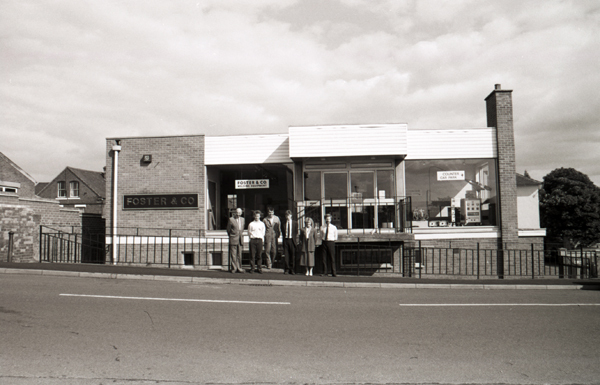 In 1987 when this photograph was taken, these Church Street premises housed Foster & Co. The individuals standing in front of the building are members of staff. Click here to learn more about the history of Foster & Co. This particular business has now moved to Shepshed, Leicestershire and instead [in 2016] the building is now occupied by Siltech Ltd., specialists in ink and lacquer technology. 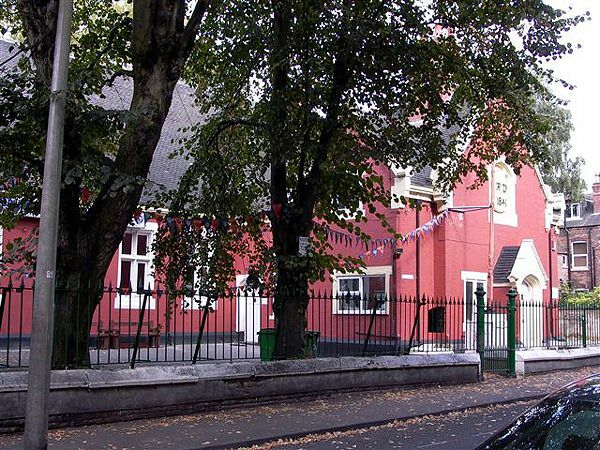 In 1851 the Lenton Church School was provided with additional accommodation in a building that used to stand on this portion of Church Street. In 1896 the school's annexe building underwent enlargement - hence the date stone on this gable end. After the school's closure the buildings were converted into industrial premises. 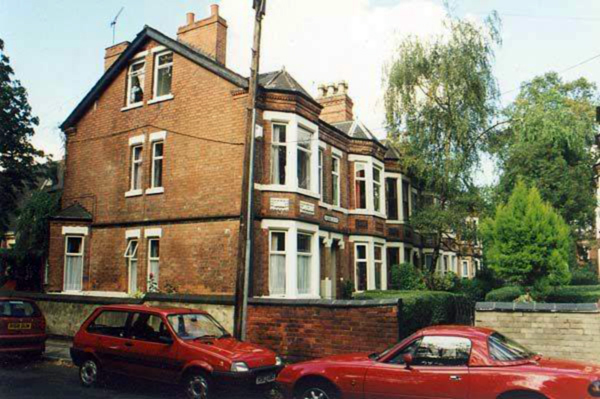 In the 1990s these premises were demolished to make way for the student accommodation seen in the previous photograph. 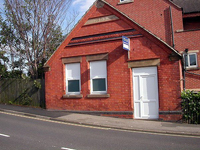 The gable end shown in this photograph was the only portion of the old school building to be retained and duly incorporated into the new building. 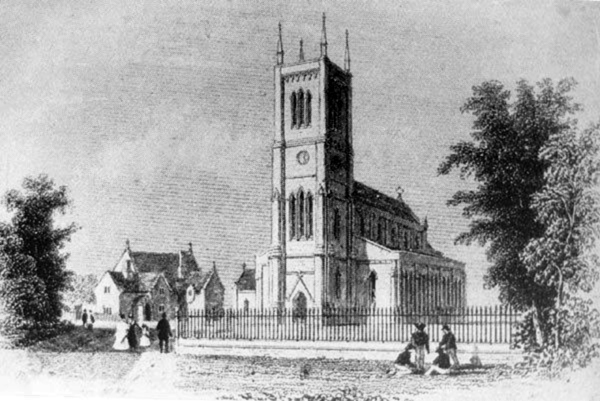 This illustration shows Holy Trinity Church shortly after it had opened in 1842. The Nottingham to Mansfield railway, which would later run along the western end of the churchyard, had yet to be constructed. 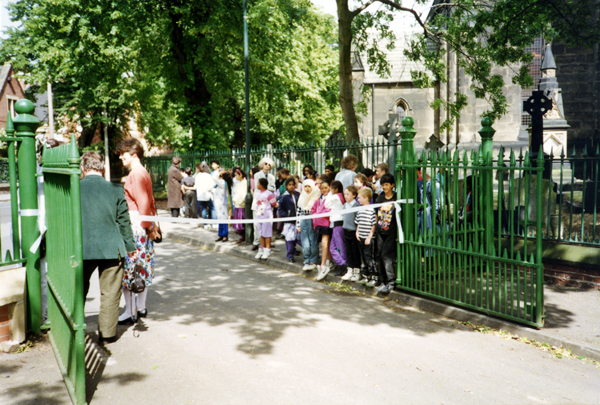 The individuals shown on their way towards the church would have been walking along the original line of Church Street. 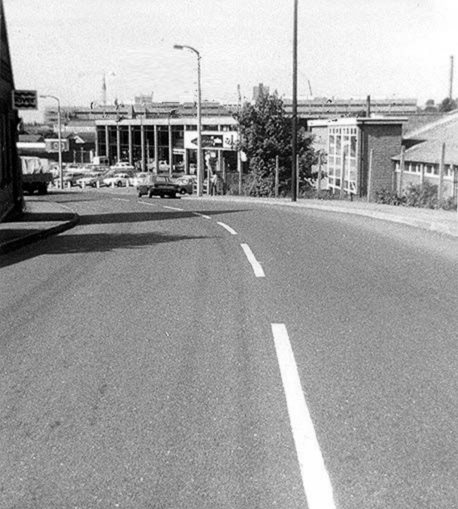 Having come over the railway bridge this photograph shows the view looking towards Lenton Boulevard. Off to the right in front of the church would be the adjoining section of the original section of Church Street. Opening and closing the gates on the Church Street level crossing would have been the responsibility of the crossing keeper who lived in this cottage, built alongside the railway. After the bridge was built the crossing keeper would have lost his job and the cottage would be given over to a railway employee employed by the company in some other capacity. 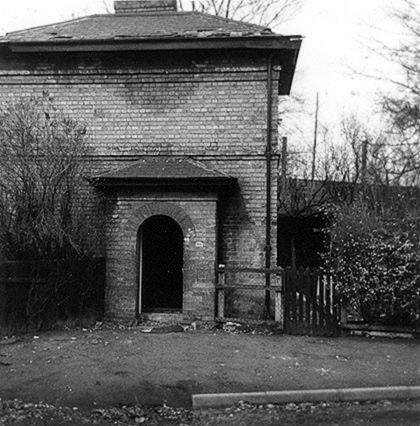 Photographed in April 1979 shortly afterwards the property was demolished. 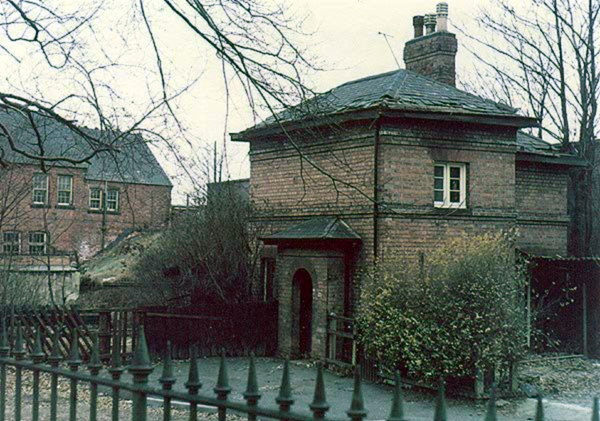 Another view of the crossing keeper's cottage taken in February 1979. The road bridge lies immediately behind it while over on the other side of the railway line part of the Lenton Church School's annexe building can be seen. At this time it would be occupied by the River Chemical Company. The same section of redundant roadway taken in February 1987, which explains the presence of snow. The crossing keeper's cottage has now gone and the roadway would later be converted into a pocket park. Visible on the left are the backs of some of the Midland Avenue properties. Much the same shot as the previous photograph but taken in May 2004. 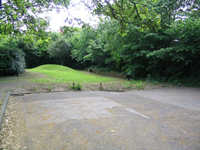 The pocket park lies in the middle distance while the ancillary parking space for the church is visible in the foreground. 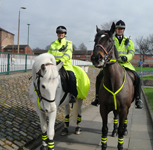 See below for more photographs of the Pocket Park. 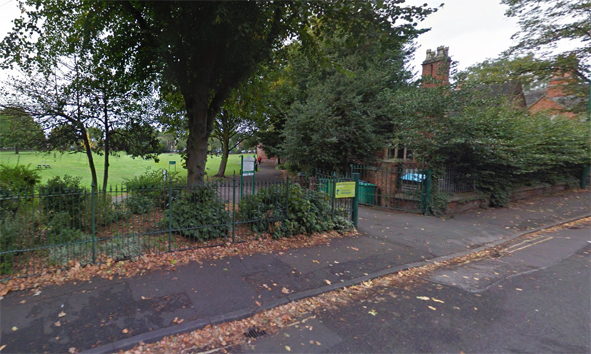 On the opposite of Church Street to Holy Trinity Church is this entrance to Lenton Recreation Ground, which was first opened to the general public in 1888. This photograph was taken in 2016. Just next to the Church Street entrance to the Recreation Ground is this house. It was originally built in 1841-42 to provide accommodation for the head teacher of either the Lenton Church Girls School or the Lenton Church Boys School. It is now a private residence. The photograph was taken in 2007. Having painted the whole building red it is clearly evident that the former teacher's residence shown in the previous photograph is now seen to be part of Sikh Gurdwara. The Church School closed in the late 1950s but the school had been confined to the annexe building on the other side of the bridge for a number of years before that. The church had used the main school buildings as parish rooms but put them up for sale in the 1970s when the cost of their maintenance proved too expensive. The brickwork has since been stripped of this coat of paint as part of the most recent refurbishment of the building. 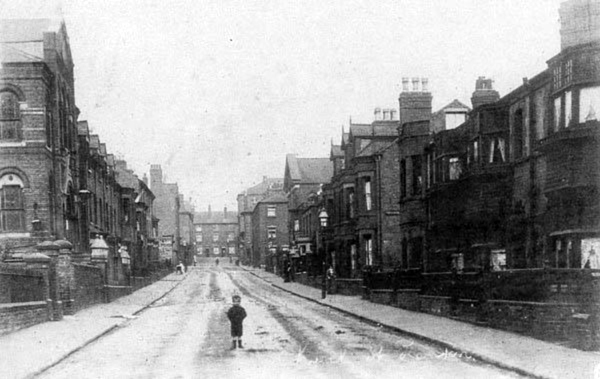 An early twentieth century view looking along Church Street with the end properties of Church Grove visible in the middle distance. Almost certainly taken at the same time as the previous photograph, this is the view of the entrance to the Church Grove properties looking back along Church Street. 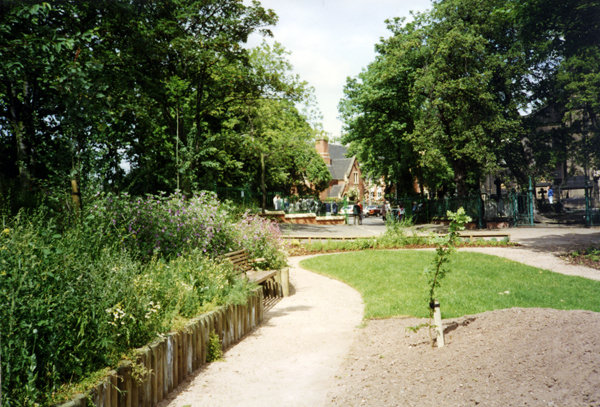 A more recent view of Sherwin Grove photographed in 1998. The properties were erected by a local builder, William Thomas Norris, in the late 1890s. He was also responsible for an almost identical development called Sherwin Grove to be found over on Sherwin Road. W.T. Norris had acquired the garden belonging to the Lodge where he proceeded to build the properties that became Church Grove. The original 'Lodge' is just visible at the rear of the buildings. For many years it housed the Castle Ward Conservative Club but is currently  being converted into flats. 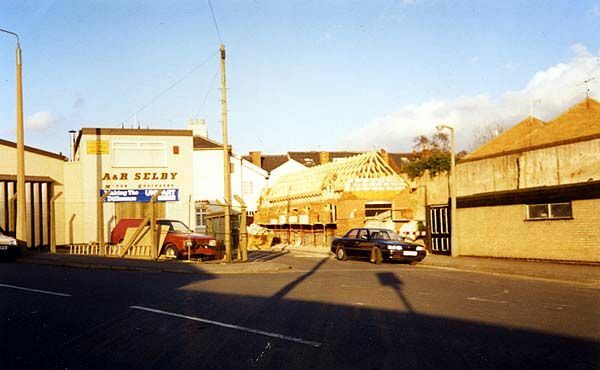 The building seen at the front, which used to house the club's snooker room, has now been demolished. This early 1900s picture postcard shows the view looking along Church Street. 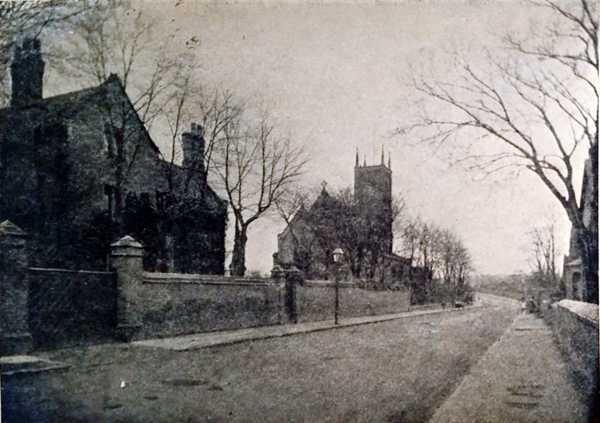 The parish church is seen in the middle distance while in the foreground on the left is Lenton Vicarage. 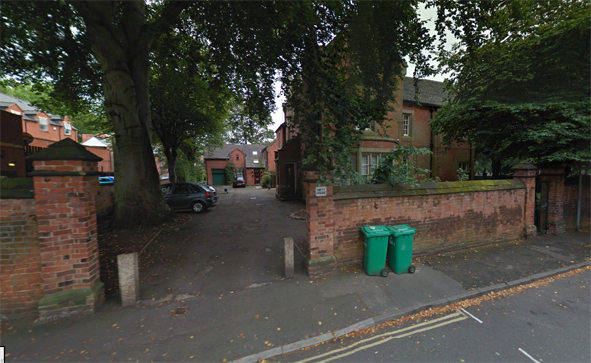 The end of the brick boundary wall to Lenton Vicarage seen prominently in the previous photograph is also included on the left of this 2001 photograph. The trees are probably a little taller than they were in the old photograph. Lenton's parochial church council had a new vicarage built in the 1980s and this can be seen at the far end of the drive. The original vicarage has been made into church meeting rooms on the ground floor while the upstairs area has been converted into flats. 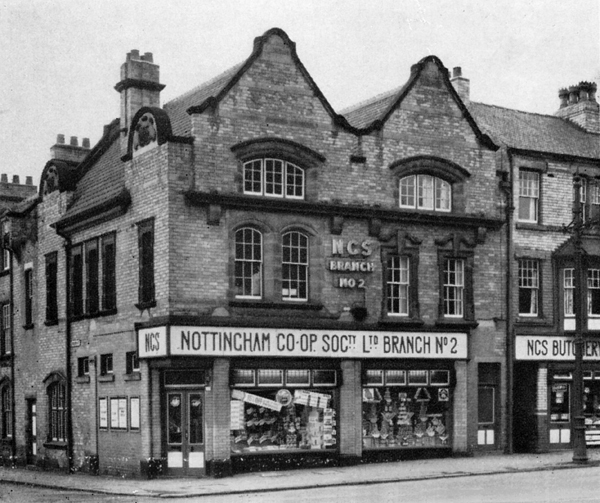 At the corner of Church Street and Lenton Boulevard the Lenton and Nottingham Co-operative Society commissioned Frederick Ball to design them a new branch store to replace an existing one operating in the Willoughby Street area. They had acquired this plot of land from his brother, Albert Ball. The building was opened in 1899. This photograph was probably taken in the early 1960s. The Co-op may have now gone but on the adjacent corner of Church Street and Lenton Boulevard is a branch of Sainsbury's Local. In our 2002 shot of the building it is evident that Sainsbury's have yet to move in and the business belonged to a chain called Jacksons. 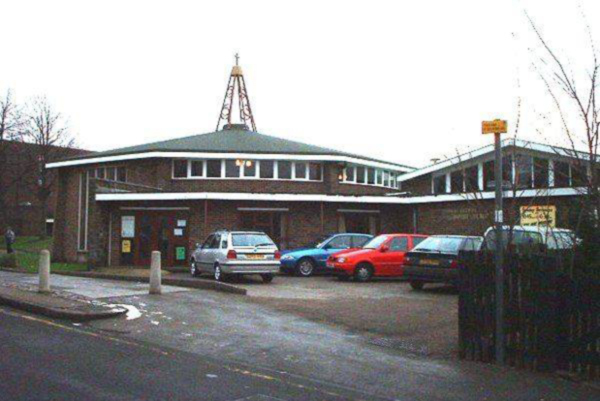 The building itself was erected in the late 1990s; the site having previously been a petrol station. Before that the land had belonged to the vicarage. 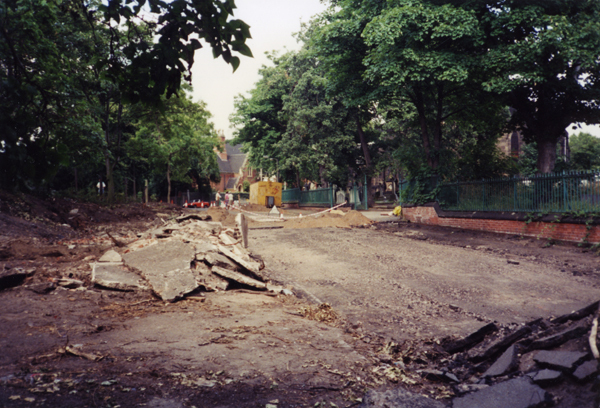 At the beginning of the 1990s the City Council decided to tidy up the redundant section of Gregory Street lying next to the church. Instead there was to be a proper parking area created for those using the church while the area nearest the railway would be turned into a semi-wilderness area. 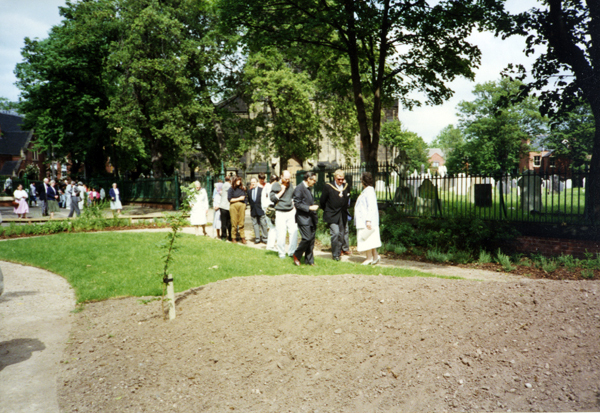 These photographs were all taken by Harold Lowe, at that time one of the churchwardens and show an early stage in the work; what the park looked like when it was first opened in 1992 by the Lord Mayor of Nottingham. Across on other side of the Boulevard, Church Street carries on as far as Park Street. 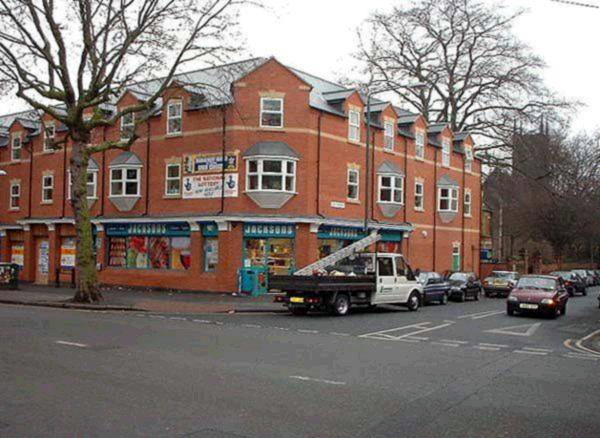 Here at the junction with Lenton Boulevard, as seen in 2002, is a licensed premises known as the Bag of Nails. The bar is partly housed in the corner building, which was originally a bank. 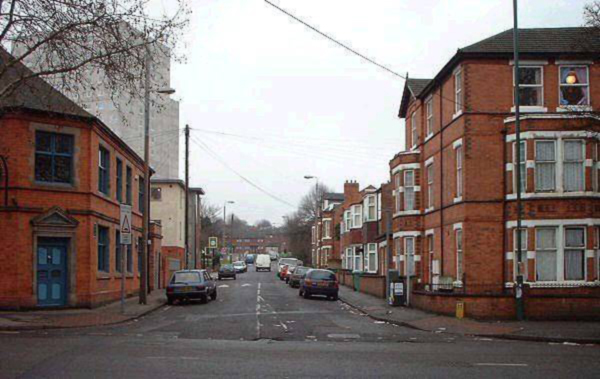 Most of the original properties on this section of Church Street were demolished as part of the 1960s clearance programme carried out by the City Council. However the buildings closest to the Boulevard managed to avoid this particular fate and are still with us. 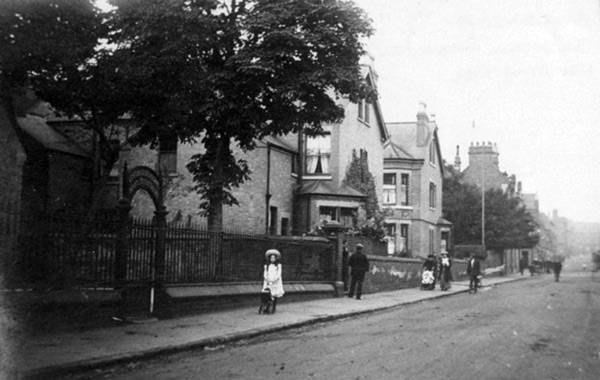 This is the view a little further along the street as it looked in 1908. 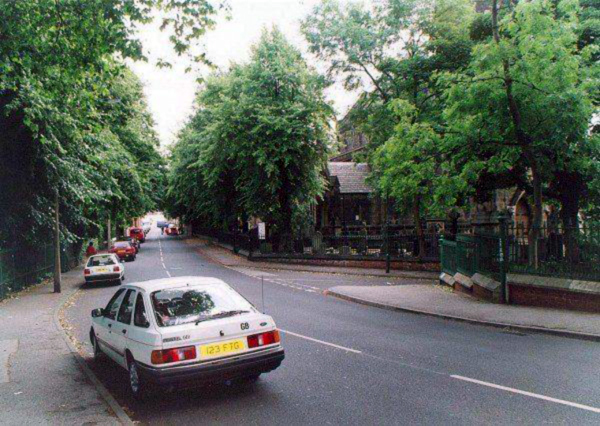 The Lenton Wesleyan Chapel is on the extreme left of the photograph and in the middle distance on the right in the Baptist Chapel. Only the properties seen on the extreme right are still with us. Nos. 30 & 32 Church Street is clearly a Victorian property. Alongside them is a new development, which has replaced a number of single storey buildings that had suffered neglect and had largely fallen out of use. 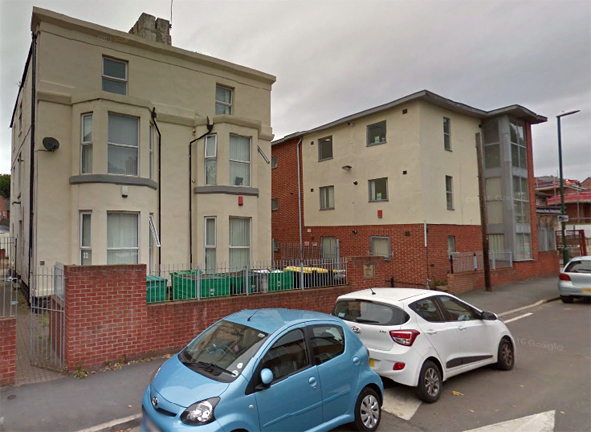 Both properties now provide student accommodation. In this 2008 photograph we are looking back at the new building seen in the previous photograph. Given the temporary metal fence around it this must about the time construction work on it was coming to an end. To the right of the photograph is a free standing sign for the Happy Return public house. Between it and our new development is the pub cark formerly the site of the Wesleyan Methodist Chapel. 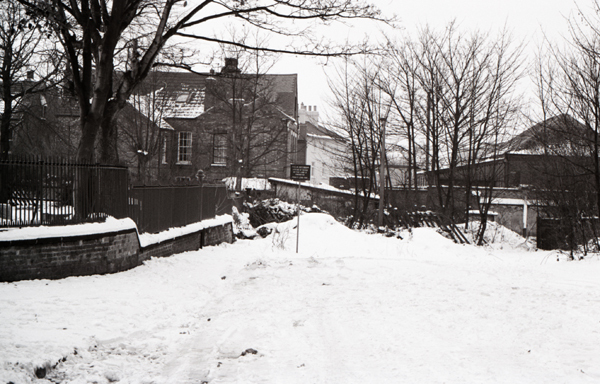 This photograph was taken in 1952 from Frederick Grove, which lies between Church Street and Mettham Street. 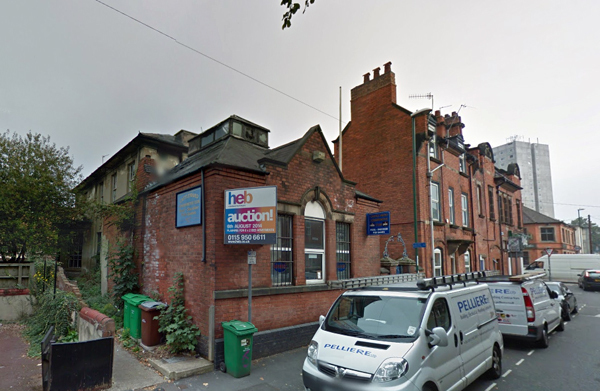 Lenton Wesleyan Methodist Chapel on Church Street can clearly be seen in the background. 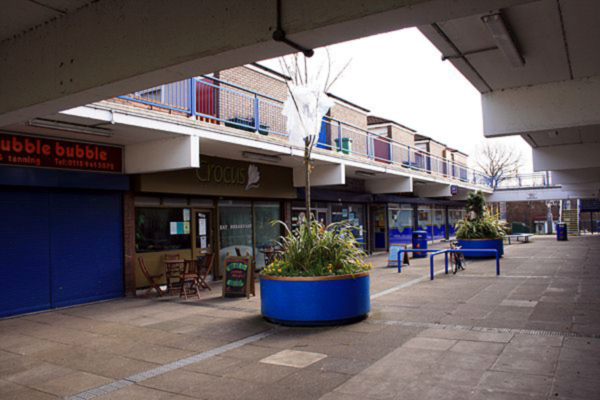 The Happy Return was built in 1960s and was essentially a replacement for all the public houses that were demolished in this area as part of the 1960s clearance scheme. This undated view of was probably taken in the 1980s and shows Lombard Street running alongside it. The out sales department seen in the photograph would 'disappear' later that decade. Essentially the same shot as in the previous photograph but the pub has clearly undergone something of a revamp. Photograph taken in 2008. 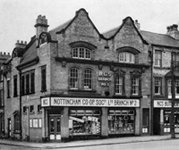 Originally the Happy Return belonged to the Home Brewery in Nottingham it was later acquired by Punch Taverns. 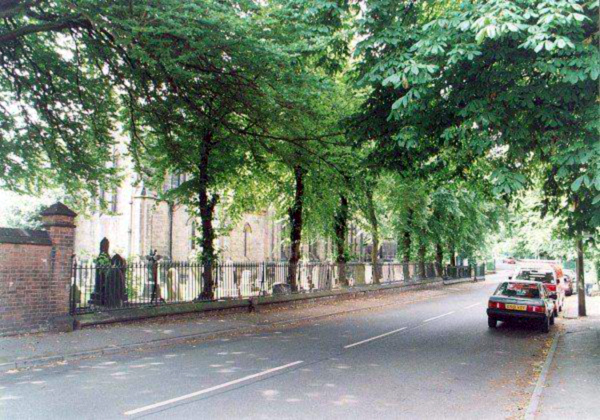 This photograph shows how it looked in 2002. 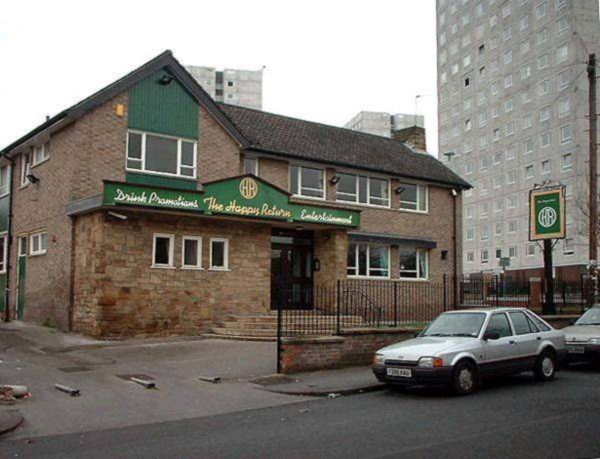 The pub would eventually close in December 2009. 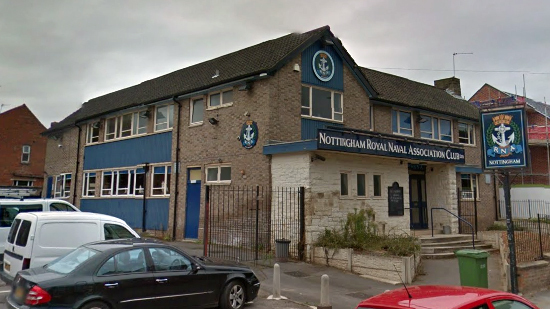 In due course the Nottingham Royal Naval Association Club moved into the building. It had to vacate its former premises on Arkwright Street as the building needed to make way for the new tram lines out to Clifton and Toton. On the other side of the road slightly closer to Willoughby Street the Lenton Baptist Chapel stood until it came down in the 1960s. This photograph shows it shortly before its demolition and the premises of the Victoria Laundry have already been vacated and been vandalised. 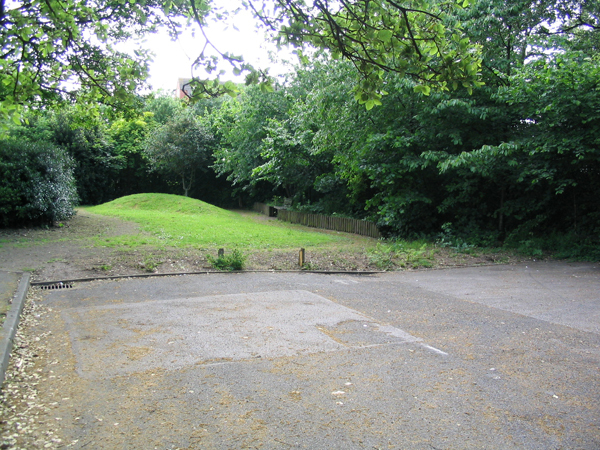 The site of the church and the laundry was incorporated into the grounds of Edna G. Olds Primary School. 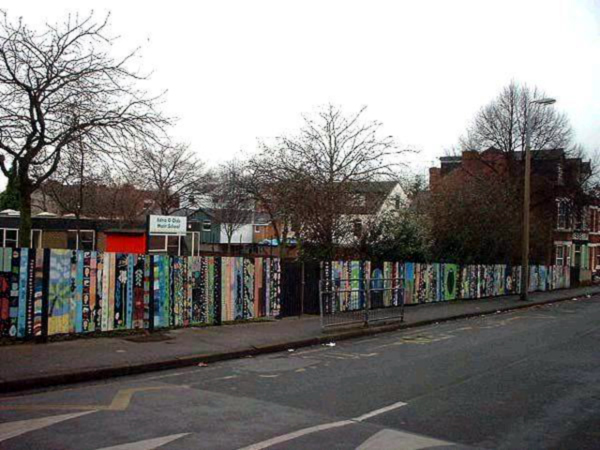 A 2002 view of the boundary fence of Edna G. Olds Primary School. This is roughly where the Baptist Chapel would have once stood. 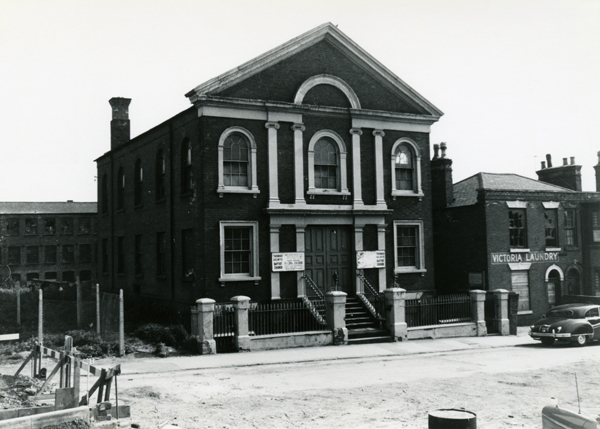 The replacement building for the Baptist chapel has just got underway in this photograph. 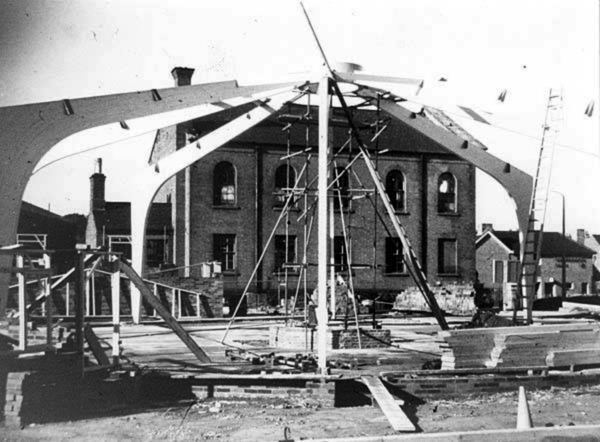 The metal framework for what would become the Thomas Helwys Baptist Church is in the course of erection while the old chapel building is still standing in the background. 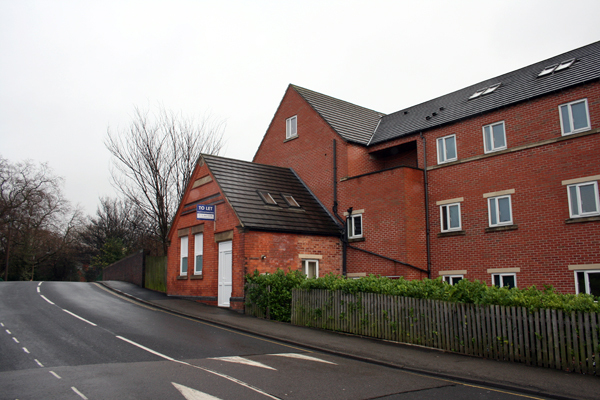 The finance for Thomas Helwys Church was generated by the sale of the old Baptist Church site plus that of the Derby Road Baptist Church in the city centre following the amalgamation of their two congregations. Photograph taken in 2002. The Church Square Shopping Precinct opened in 1968 as a replacement shopping outlet for all the many shops that were lost once the Willoughby Street area underwent redevelopment. Several of the old Willoughby shopkeepers agreed to move into this new precinct centre but none of them ever attracted the amount of custom they had formerly done. Among these was Eric Denham and his wife, Jean who ran a grocery store and Harry Wells who had a newsagency. Photographs of both businesses feature below. The shopping centre, along with the flats above and the industrial units below the shops, was demolished in 2016. 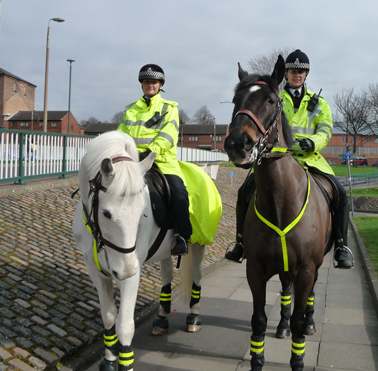 The pedestrian footpath with our two equine friends in 2011 would have led up the Church Square shops or provided access to the walkway under Church Street leading to the Willoughby Street tower blocks. Now it just provides pedestrians with access to what is left of Willoughby Street. Motorists were able to access the Church Square shops either via Park Street or Church Street with parking available at the rear of the shopping centre as shown here. However, the shopping precinct was never well placed to attract passing trade and as a result the shopkeepers relied on a restricted customer base - most of whom made their way there on foot. 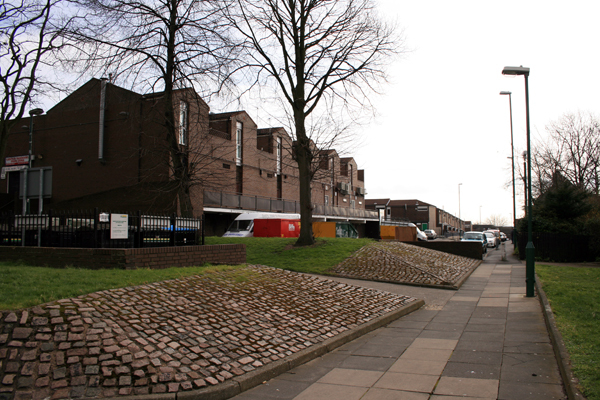 This is a view of the back of the Shopping Centre as viewed from the end of Willoughby Street in 2008. 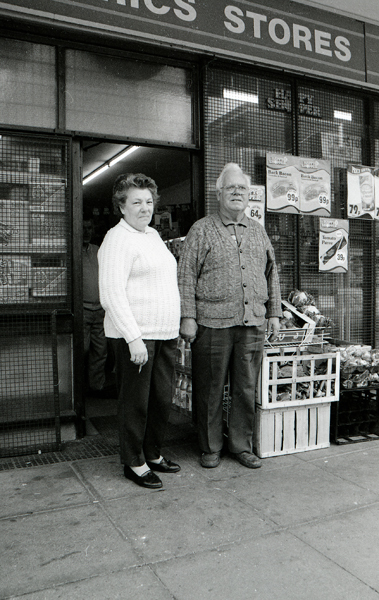 This is Eric and Jean Denham standing at the entrance of 'Eric's Store' in 1993. Another shot of Eric and Jean inside their shop. An article about the Denham's and their Lenton business was featured in Lenton Times No.8. 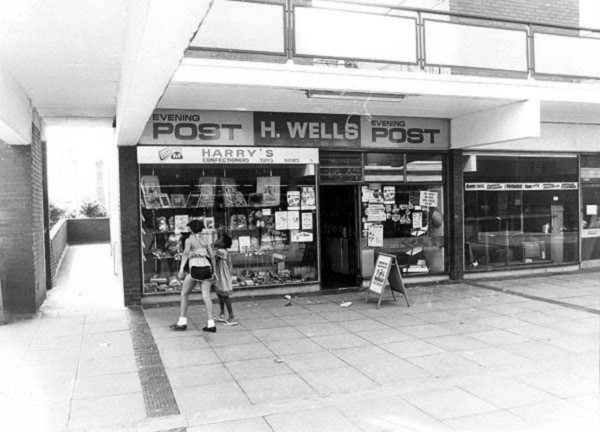 An exterior view of Harry Wells' shop taken in 1983. So this was about fifteen years after he and his wife, Gladys, had moved into the shopping centre. Another newspaper shop had also taken a unit here. This was Billy Hill's which for many years had been located at the top of Willoughby Street at its junction with Derby Road. Having two newsagents in the same shopping area made little sense and just made it harder for either of them to make a decent living. In 1983 the Wells sold their business to Seetal K. Gill. 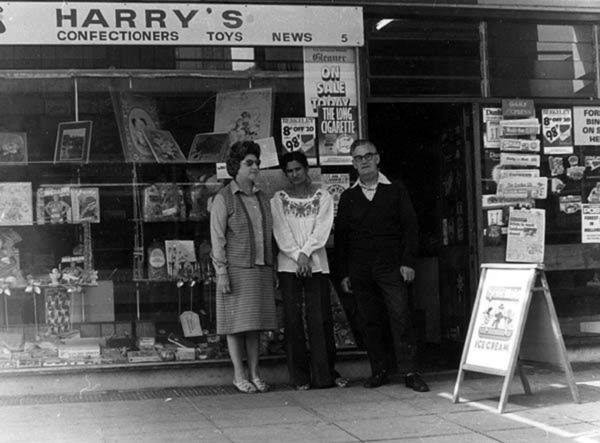 This is the three of them posing for their photograph outside the shop in 1983. For the full story about Harry & Gladys Wells see the Lenton Listener article below. The eastern end of Church Square as it looked in 2008. 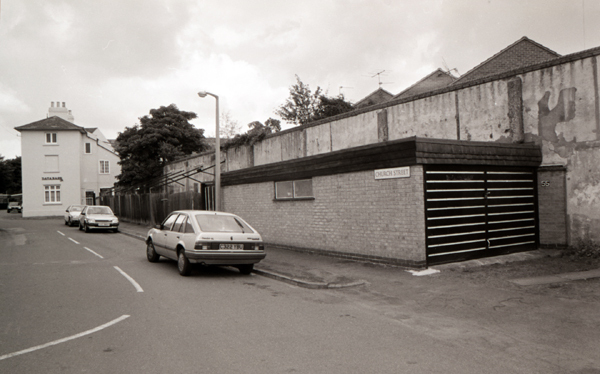 The photocopying shop on the right of the photograph used to house Eric's Store. The shop unit at the far end with the blue shutters originally housed Billy Hill's newsagency. The reverse view looking southwards along the pedestrianised area. 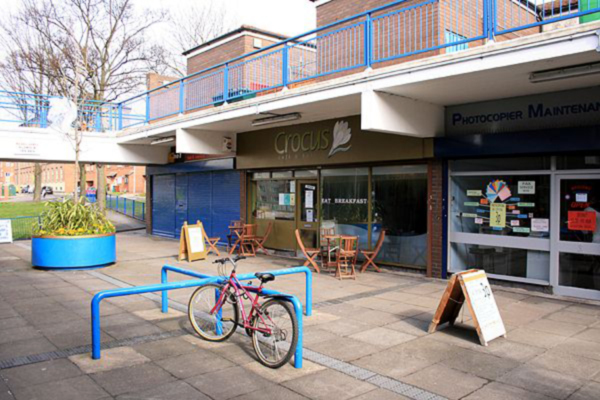 The Greater Nottingham Co-op originally occupied the large unit at the far end of the precinct - moving its No.2 Branch store across from the corner of Lenton Boulevard and Church Street while also closing another small Co-op outlet located on Park Road. 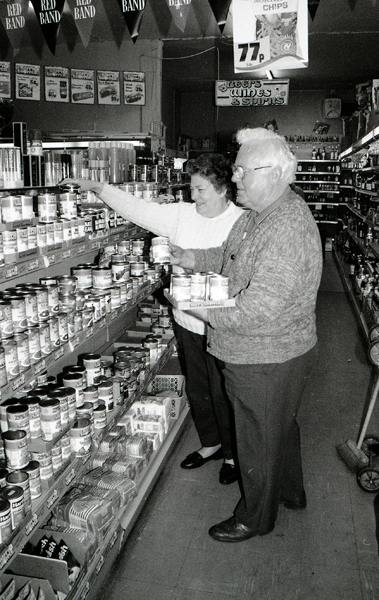 The Co-op continued to trade there until the early 1990s. Like Margaret Smith [see below] I also lived on Church Street in Lenton. My family, the Wrights, lived at 28 Church Street which was next door to the Methodist Church situated on the opposite side of the road to Margaret's house. In her reminiscence she recalls the fire in Green's woodyard. This is still a vivid memory for me. It was Arthur Eagle, Jackie Wilkinson and myself who first raised the alarm. Margaret mentions the Bottomores who owned the drapers shop. My sister, Thelma Wright, was a friend of their daughter and I believe she married a Polish pilot. I can also recall the Barclays Bank situated at the junction with Lenton Boulevard and the manager of the bank who used to walk past our house every morning sporting a different bow tie each day of the week. As kids we spent many happy hours playing in the streets. During the war we would visit the Wollaton Park while the U.S. 83rd Regiment were encamped there. They were glamorous to us scruffy ruffians and we were often asked 'Do you have a sister, kid?' and of course they used to give us chewing gum and Hershey bars. There have been several subsequent return visits to the United Kingdom and I would often have occasion to visit my old stomping ground which has undergone great changes. 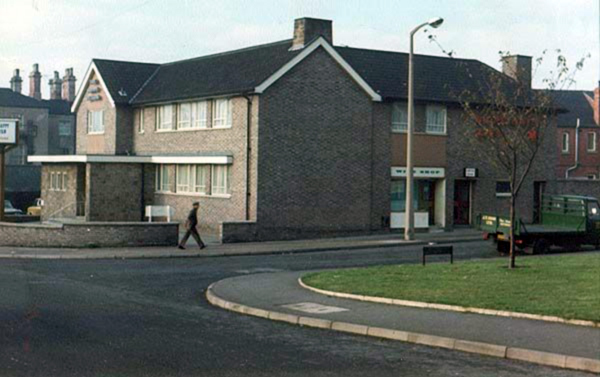 Where my house once stood there is now the pub called The Happy Return. Does anyone know what happened to the Wilkinsons who were a big family and the Beardsalls? I would love to hear from any of them, or indeed from anyone who remembers my family which included my brother, Carl, and sisters, Breda, Bridget and Thelma. My family moved to No.9 Church Street in 1948. This house was situated at the rear of the Victoria Laundry shop, featured in one of your old photographs. My parents were William Arthur and Emma Louisa Coleshaw. My father had initially been employed at Chilwell Ordnance Depot as a clerk but later got a job as caretaker at the nearby Baptist Chapel. He worked there in this capacity for a number of years but eventually he had to give it up owing to his poor health. The Chapel used to have a Mothers Union meeting there one afternoon a week, and a Christian Endeavour meeting for young people, a lovely lady Mrs Mitchell used to run the latter. My mother worked as manageress at the Victoria Laundry's branch shop on Church Street. She ran the shop, served customers and sorted all the items to be cleaned prior to their despatch to the actual laundry and dry cleaning facilities, which were based on Ilkeston Road. I went to Cottesmore School in the 1950s and can recall such teachers as Miss Lee, Miss Coupe and Miss Thompson. While still at school I used to help my mother in the shop and well remember banking the takings at Barclays bank situated at the corner of Church Street and Lenton Boulevard. Next to it used to be Bottomore's shop which sold wool, drapery and various items of clothing. On leaving school the Victoria Laundry offered me a job at another of their branch outlets. 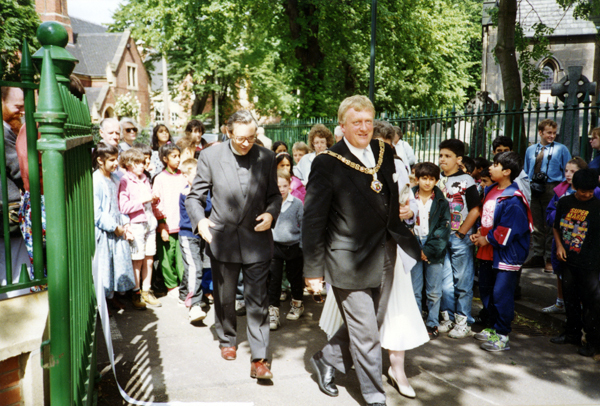 I was later married at Holy Trinity Church in Lenton and our three children were all christened there. In 1967 we left England for a new life in Australia and have been there ever since. 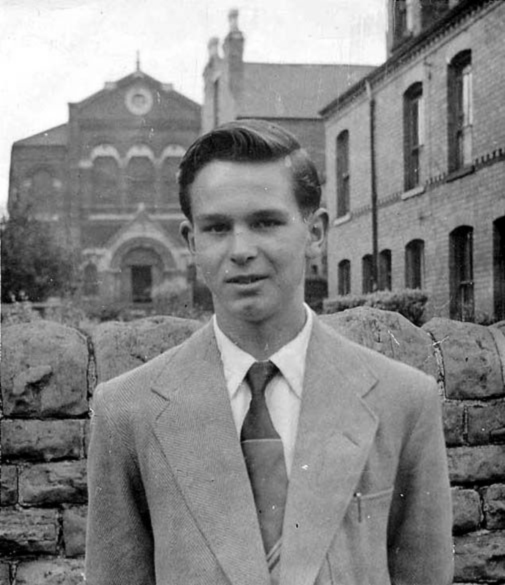 In 1960 my parents exchanged properties with someone who lived on the Clifton Estate. My dad died there a few years later at the age 68 but my mother remained there for quite a long time, eventually dying at the age of 93. While at Church Street my parents transformed the barren piece of dirt at the back of our house into a lovely garden. At the end of our garden was Thornley & Rose's chromium plating factory and to next to it was a wood yard belonging to Green's, the building and joinery business. I don't recall the year but I can remember one night a fire started in the wood yard and the light from the flames coming through my bedroom window evidently woke me up. I found all our neighbours out in the street watching the fire brigade as they eventually managed to extinguish the blaze.